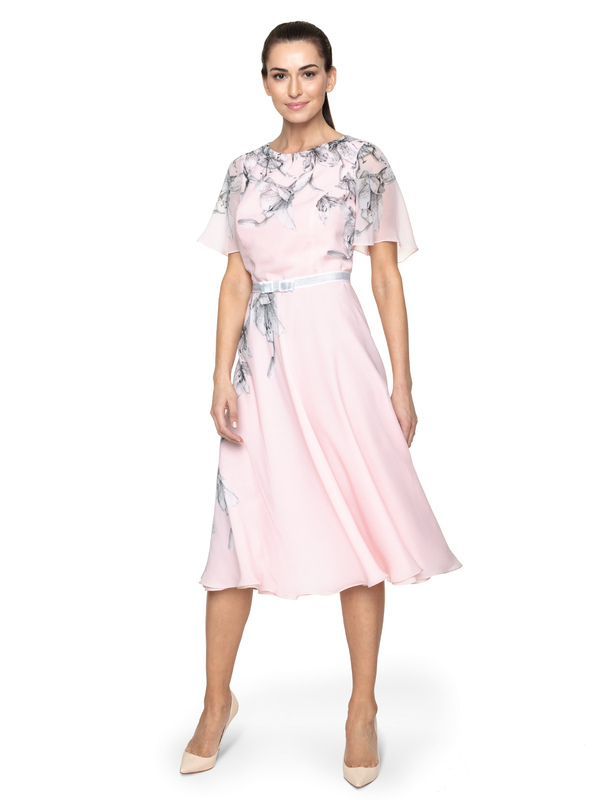 Spring proposition for elegant women who value femininity above all else in fashion. 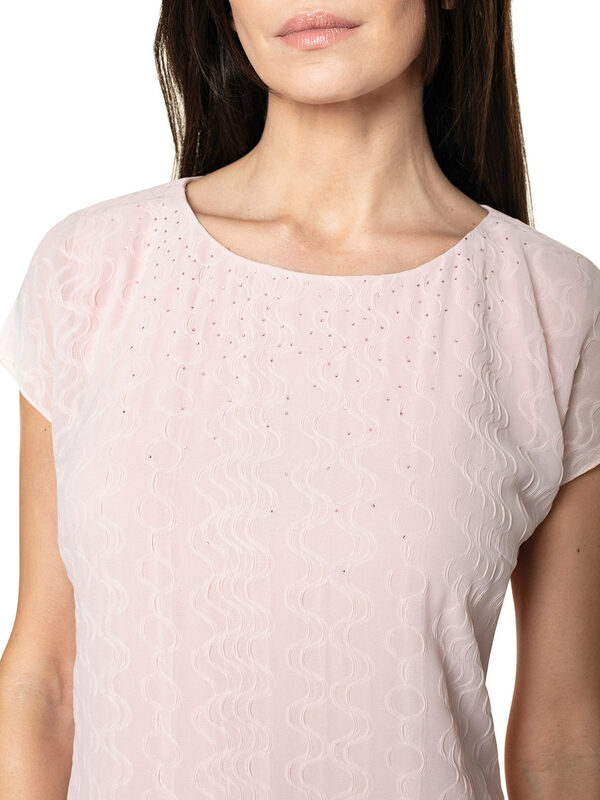 Bina is a lacy, shiny dress in powder pink colour. It is very decorative and suitable for special occasions. It has short, elegantly finished sleeves. The V neckline exposes the neck and breasts. The back of the dress is decorated with an attractive slit. The bina is rich in decorative details, so choose accessories wisely. In the case of Bina, less is more! So choose shoes in white chocolate or caramel and a matt handbag in similar shades. Decorate your hands and necklines with delicate silver chains and small rings.